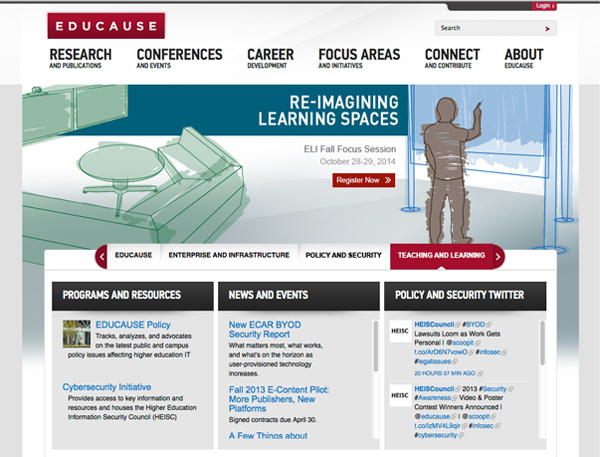 ELI is the acronym for the EDUCAUSE Learning Institute. Their goal is to promote, educate and advocate for classroom learning technologies that might otherwise get overlooked. ELI hosts many conferences throuhout the course of the year that promote the advancement of technology and technique in the Higher Education classroom environment. 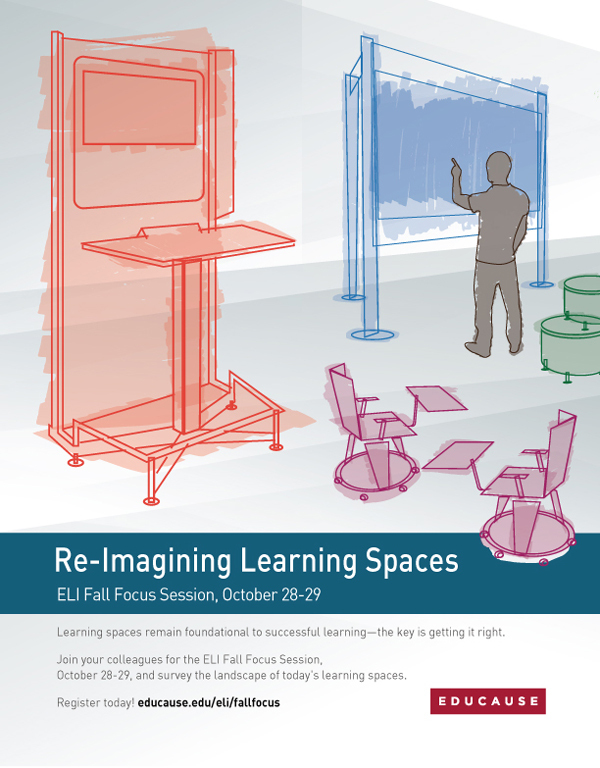 This project was to promote an upcoming meeting to educate participants on the advantages of learning space design. Custom, vector illustration was used to allow for use over electronic and print platforms.